Last month, I spoke about change and changing mindset. How do you change a mindset? And the next question could be, ‘is it worth the effort?’ There you have it, ‘worth’, that’s value. Value: everything has one, tangible or intangible. - The intangible value of having a cafe as a creative meeting place. - The intangible value of relationships and collaborations. - The tangible value of a fundraiser. - The tangible value of a piece of art. The list goes on. We apply, knowingly or unknowingly, value to so much in our lives. There is no golden rule to valuation, especially when it comes to the art and nonprofit worlds. Creativity in these areas is highly undervalued. Too often artists/creatives in the nonprofit world are ask to do projects for little or no compensation. Would you get a plumber to fix your pipes for little or no money? Would you get an electrician to repair your wiring for little or no money? The answer would be no in both cases because you are paying for a skill that has value. Yet, when it comes to an artist, musician or other such creatives the lack of value for their skill set is astounding. Not long ago, I witnessed two instances of artists being asked to work for little or nothing. In both cases the hiring organizations said there wasn’t enough money to pay more. 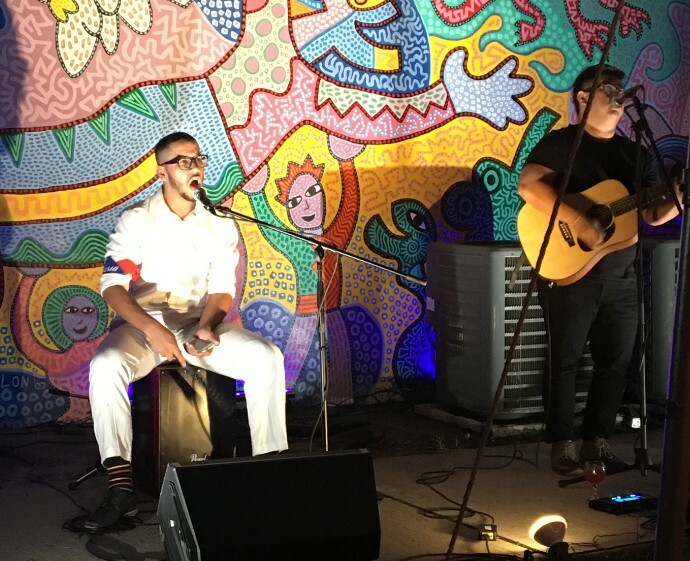 In both cases, the hiring organization made the assumption that the artist would be willing to work at an extremely reduced rate or for free. Budgeting is tough, especially in the nonprofit sector. But without proper budgeting, creatives will never be fairly compensated. 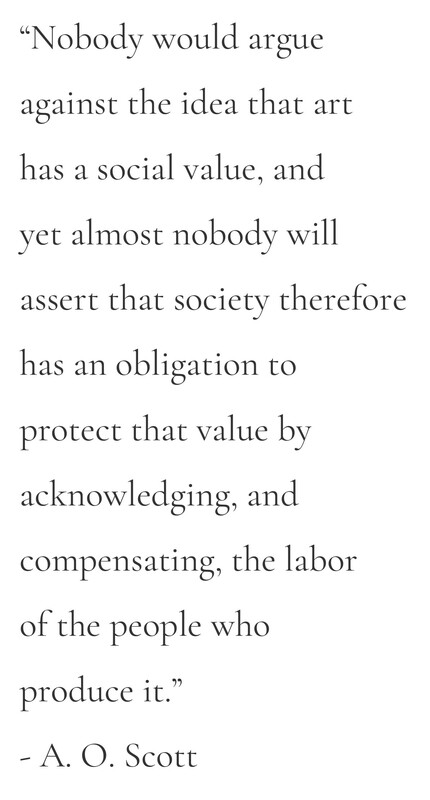 If a nonprofit organization’s Board of Directors doesn’t understand the cost of hiring creatives, and if the institutions giving grants don’t understand the cost of hiring creatives, then they -- artists, musicians, writers, performers -- won’t ever be properly compensated for their work. Alas, I have no magic formula to fix this continuing undervaluation of artists and creatives in the nonprofit sector. But here at ValleyArts, we are slowly trying to change the narrative by attaching a monetary value to everything we do and always making sure we compensate creatives who provide services to us -- raising the awareness of value. Monetizing does not have to be an negative word. Whenever we work with creative people - artists, musicians, poets, food creatives, etc. - we always make sure to compensate them for their time and talents. Sometimes funds are tight and we can’t pay as much as we’d like, but we always pay something. 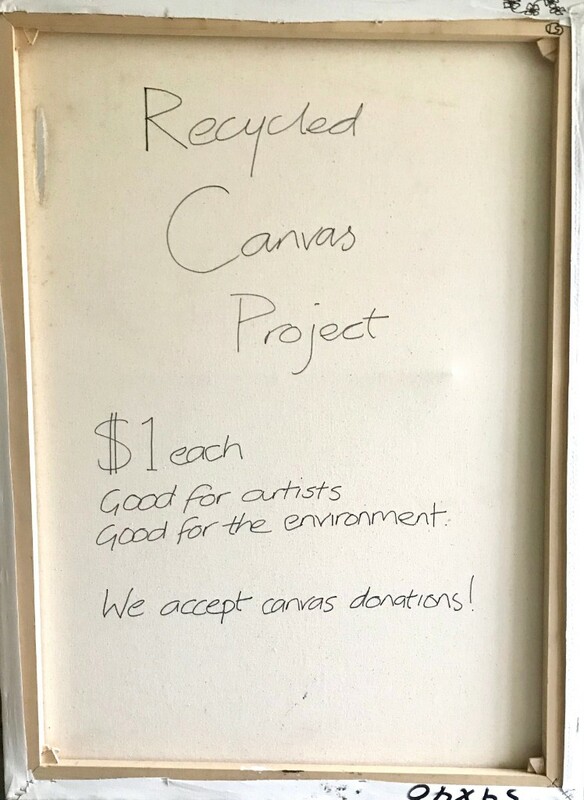 ValleyArts recently launched its ‘Recycled Canvas Project’ where we take used canvas, gesso them and make them available to artists. We were planning to make them free, but realized we would be undervaluing our efforts to make these canvases available to artists in need of them. Surprisingly, free is not always the best option and charity can be a difficult topic. Moving forward ValleyArts will continue to be mindful of values for artists, creatives and entrepreneurs who we work with. We hope you will give this some thought too.